Reliable insulation throughout the winter. Stay warm outdoor with the Women's Arctic Road Pants winter trousers. They are made from Jack Wolfskin's tried and tested Function 65 fabric, a hard-wearing hybrid fabric consisting of natural organic cotton and robust synthetic fibres. It keeps out the wind and shrugs off light showers. 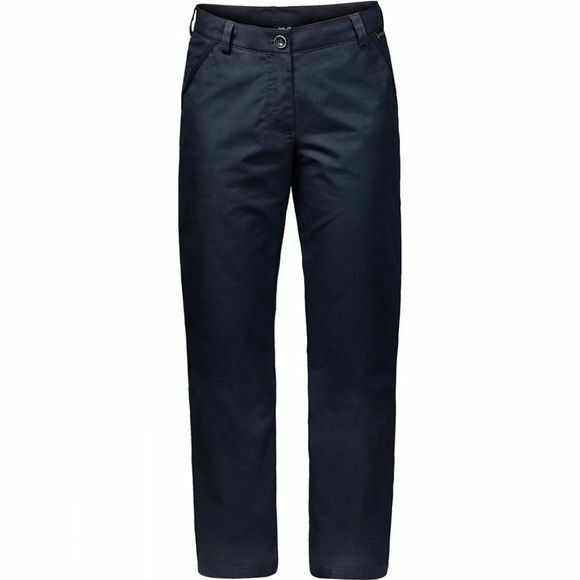 And thanks to the thermal lining made from soft microfibre, these trousers also keep you warm. With two hip pockets and two back pockets there is room to stash your money, keys and other important bits of kit that need to be kept handy.